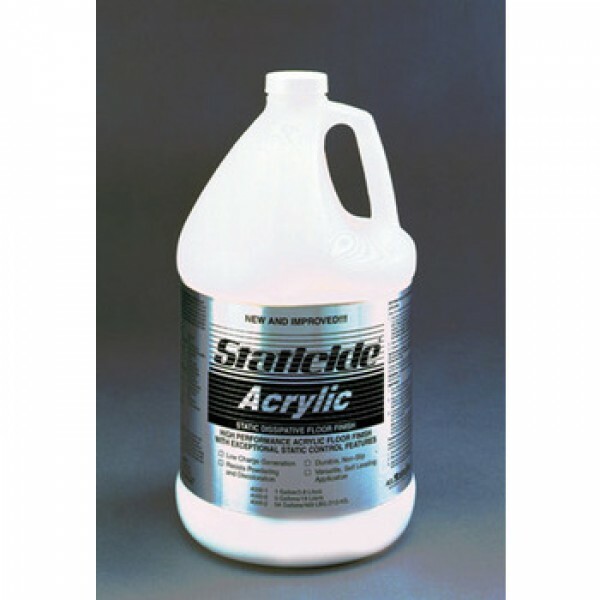 ACL Staticide 40002 - Static Dissipative, Acrylic Floor Finish. Low Volatile Organic Compound. Provides high performance static control on any sealed or hard surface in manufacturing production areas. The ACL Staticide 40002 is a tough, easy to use, Acrylic Co-polymer with ideal static control features. High gloss, slip and detergent resistant, can be spray buffed for easy maintenance without loss of gloss on finish.